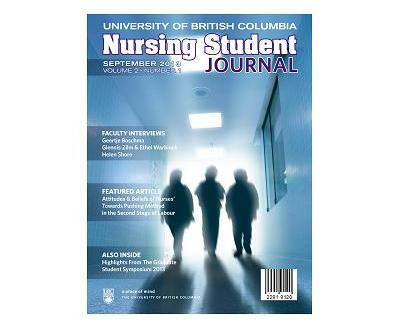 With the fall semester in full swing, it is a pleasure to announce that the second issue of the University of British Columbia nursing student journal (UBC-NSJ) is available in cIRcle, UBC’s Digital Repository! As stated by the UBC-NSJ’s editor-in-chief, Jae-Yung Kwon, this year targets the “[b]uilding on the success of our first edition” and highlighting the “Graduate Student Symposium 2013, organized by the Graduate Students in Nursing Association (GNSA)”. Examples of such include an exploratory look at the Extended Care Paramedic (ECP) program with an innovative approach to sustainable patient-centred care, a research proposal, an autoethnographic novel, and much more. Read/download the full UBC-NSJ journal in cIRcle at: http://hdl.handle.net/2429/45164. Or, simply browse/download the individual journal article titles under the “Browse – This Collection” section (then click on “Titles”) at: https://circle.ubc.ca/handle/2429/45132. This month, Open UBC 2013 will take place on October 22-23, 2013! Held as part of UBC’s celebration of International Open Access Week and in conjunction with UBC’s Celebrate Learning Week, this year’s programming includes a Pecha Kucha-style student panel of presenters including UBC-NSJ’s editor-in-chief, Jae-Yung Kwon. Visit the Open UBC website at: http://oaweek.open.ubc.ca/ for details.